The Senate, Wednesday resolved to override President Muhammadu Buhari’s veto on the constitution of the Federal Republic of Nigeria, 1999 (fourth Alteration, No.28) Bill, 2018 and Industrial Development (Income Tax Relief) Amendment Bill, 2018 respectively. This development followed the recommendations by Senate Technical Committee on Declined Assents to Bills By Mr. President and Commander-in-Chief of the Armed Forces of the Federation chaired by Senator David Umaru. The, bill, however, seeks to provide for the first time within which the President or Governor shall lay the appropriation bill before the National Assembly or House of Assembly, to encourage early presentation and passage of Appropriation Bills. It would be recalled that Buhari declined assent to the bill, saying section 2(b) and section 3(b) of this bill appear not to take full cognisance of the provisions of section 58(4) of the 1999 constitution. But the hallowed chamber took exemptions to Buhari’s ground for declining his assent wherein he cited section 58(4) of the 1999 constitution. The committee said, “For clarity, section 58(4) deals with mode of exercising federal legislative powers: general, particularly, the number of days to assent or decline assent to a bill. “It provides – “Wherein a bill is presented to the President for assent, he shall within thirty days thereof signify that he assents or that he withholds assent”. The 7-man committee, therefore, explained that the bill in essence seeks to make it mandatory for Mr. President and Governor of a state to cause to be prepared and laid before parliament, estimates of the revenues and expenditure of the federation for the next following year. 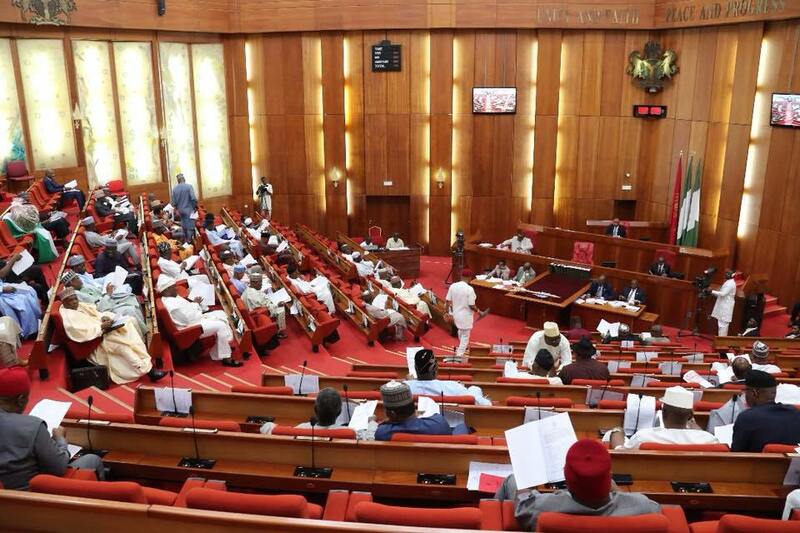 The bill, according to the Senate committee, would also make the parliament to pass the appropriation bill before the commencement of the next financial year. The committee added, “The legislative intent behind this bill is to ensure that we run a normal financial year”. For the Income Tax Relief amendment bill, it seeks to allow companies that expand their operations in pioneer industry or product to apply for a new pioneer status. “That there are ongoing consultation by the Federal Ministry of Industry, Trade and Investment with other Ministries, Departments and Agencies (MDAs) on the tax holidays incentive regime for expansion projects, Investments in rural areas, as well as for Agriculture/Agro-processing to be concluded and pave way for presidential orders, or executive Bill’s for consideration and passage by the National Assembly. “That the consultations would result in fiscal measures that would greatly enrich the quality of the tax holidays incentive regime for these types of projects and investments. “That at the end, thaes fiscal measures when finalized, would be subsequently submitted to the National Assembly by way of presidential Executive orders, or executive Bill’s for consideration and passage into law by the federal legislature, in due course”. However, the Senate committee in reaction said, ” Mr. President, Distinguished colleagues, we wish to state here that the committee finds Mr. President’s observation on this bill rather simplistic. “Certainly, Mr. President’s overall intention to come up with legislative proposal that would stand the test of time, is commendable. “However, law-making cannot unjustly suffer in anticipation of a proposed legislation. “Above all, nothing stops Mr. President or anybody for that matter from proposing an amendment to an existing law or even a repeal of an existing law. “There is nowhere in the world where the President can propose to stop the law-making process by an executive fiat or order. “The President cannot withhold assent to a bill on the mere fact that consultations are on-going, which will enable him come up with a new bill”.